ALWAYS eat something before going to a holiday party. The plates of appetizers and dessert trays will be far less appealing if you eat a healthy meal at home beforehand. Even if you just have a protein bar in the car on the way there, that’s better than going to the party hungry. Watch the alcohol intake. You can pack on serious calories with alcohol. And it’s not just obvious things like eggnog. Beer, wine and mixed drinks are all loaded with calories. If you really want to have a drink then consider it a cheat and have just ONE light beer or wine spritzer. Try to avoid drinking alcoholic beverages for the rest of the week. When attending a holiday meal with family and friends, offer to bring something. 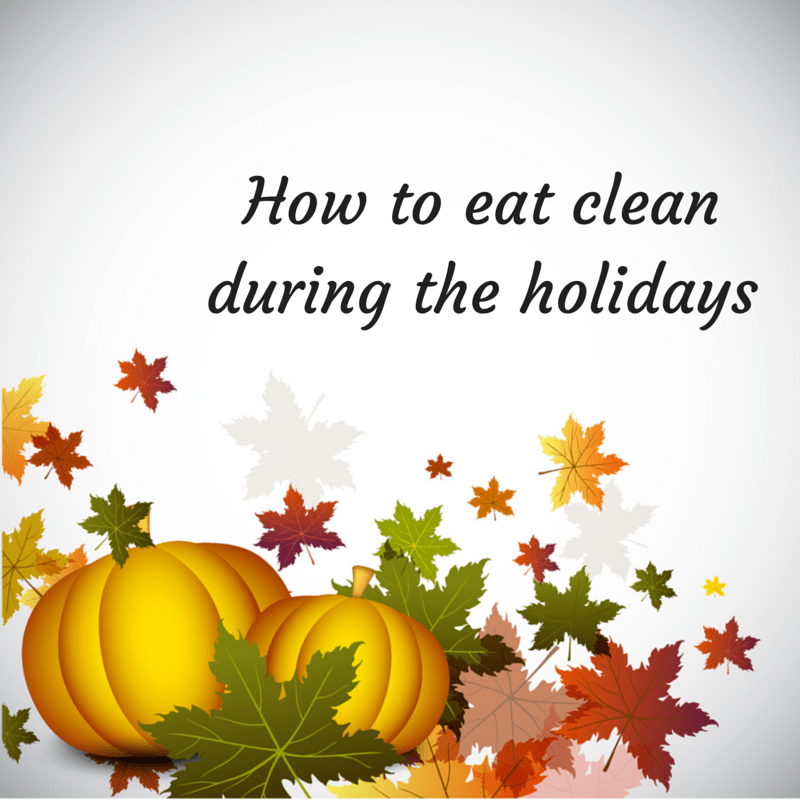 I think people actually appreciate having a healthy alternative to all the junk that’s usually served at Thanksgiving and Christmas. Most people won’t even realize it’s a clean item! Avoid “emotional eating”! It’s stressful this time of year with all the shopping, expenses, visiting relatives, finding the perfect gift, traveling, etc. Many times when we’re stressed we overeat and don’t even realize what we’re putting in our mouths. Find some time to relax with a cup of tea, meditate for 10 minutes or call a friend who always makes you laugh. Keep up with your exercise routine! I know it’s tough this time of year to fit in exercise with the gazillion other things there are to do. Even if you just walk a few times a week, that’s better than nothing. Weigh yourself daily. Some people advise against this but I’ve found it’s the best way to keep myself in check. It’s too easy to go into denial mode and simply ignore the scale. Seriously, wouldn’t you rather know NOW if you’re starting to gain weight rather than discovering in January that you’ve packed on 10 pounds? Remember, it’s okay to indulge a bit every once in awhile. Life isn’t supposed to feel like deprivation – you’re allowed to enjoy yourself. By practicing awareness while eating, you’ll not only get more pleasure out of eating, you’ll eat less as well!